To achieve digital transformation, retailers must determine priorities and strategies before selecting a technology that will enable a successful implementation. 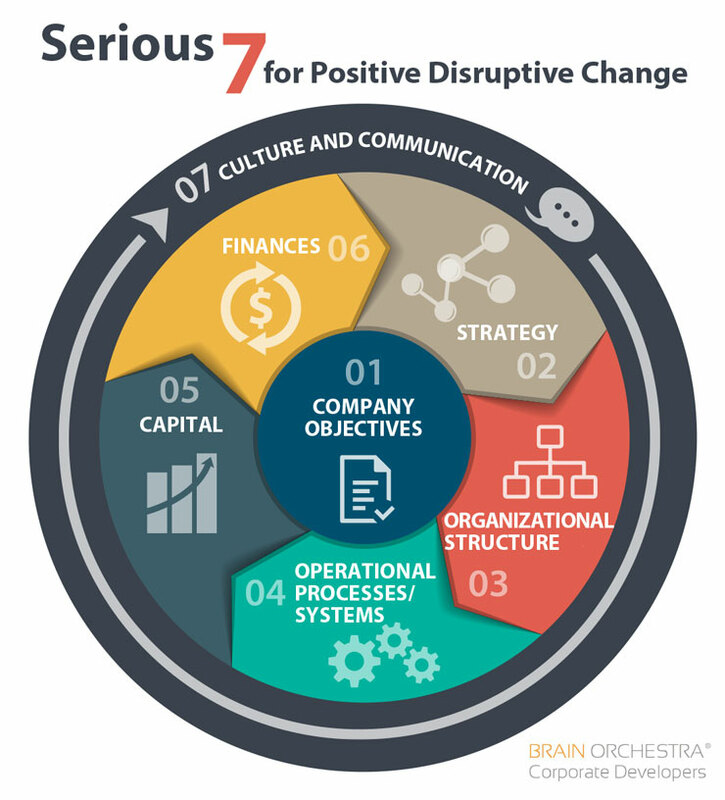 The “Serious Seven” is a strategic framework to help retailers develop a sound plan that exposes “positive disruptive change” while insulating digital transformation from divisive forces that could sabotage this critical initiative to achieve unified commerce. In the end, the connected retailer will deliver a seamless customer experience across all channels. By now it’s well documented that a critical, if not the most critical, success factor for unified retailing is the ability to provide a consistent customer experience across all channels—one that is actually seamless vs. “virtually” seamless, which is no longer enough. Yet while retailers seem to be grasping the need for unified commerce, they are slower to embrace digital transformation (digitizing the store) and the new technologies that will enable them to increase sales, improve operations and strengthen customer loyalty. In fact, The RSR report, “The Retail Store in 2016: Poised for Transformation,” found that 63 percent of respondents surveyed reported that their existing in-store tech is incapable of being ‘futurized’ (for digital transformation). This is understandable since most multi-channel organizations were built channel by channel along with the supporting technology. Therefore, it stands to reason that existing, fragmented technologies simply cannot support unified commerce. The race toward the digital transformation finish line could be rushing retailers into making technology choices without fully defining a unified commerce strategy. This “cart-before-the- horse” approach is likely to backfire, dispersing ripples throughout the organization that could unravel its very fiber. As is the case for any major initiative, a strategy-technology partnership is critical for digital transformation, because a brilliant strategy without the right technology puts a successful outcome at risk. When embarking on a unified retail strategy, organizations need to recognize the impact that digital transformation will have across their entire operation, as well as their partners’ operations. Therefore, they must garner cross-functional strategic buy-in from top level management—not just IT—to prevent digital transformation from erupting into a destructive tidal wave. Digital transformation has to be driven by top business executives, not by technology or IT. The guidelines outlined in this article provide a framework for formulating both a cross-functional strategy and an implementation plan that have full support of executive leadership. A viable implementation plan should reflect prioritized objectives, the unified commerce business cases (see Align Business Cases to Objectives) designed to meet those objectives, and performance improvement assessment milestones for each step of the plan. Digital transformation—the monumental shift from a function-based retail organization to a customer-centric, services-based one—challenges every part of the organization. The metamorphosis requires exceptional leadership to redefine the organization’s key facets—from strategy to structure, from operating processes to employee roles. digital transformation. To punctuate the critical nature of this introspective exercise, we describe them as the “Serious Seven” and urge retailers to explore each area in depth to gain widespread consensus about how their organization will approach the issues associated with them. These company objectives and values create the core rationale for undergoing digital transformation. They should be precisely defined and communicated by dollars and/or percentages as a barometer for assessing results. Most important, there must be cross-functional and board-level executive consensus. Keep in mind that objectives may be modified and added in response to market demands and the competitive landscape. What new capabilities will need to be added? Are there managers who can and will execute the strategy? Can existing employees handle new roles? Will additional employees need to be added to handle increased responsibilities? Can existing business partners support these activities? Is the strategy aligned across the organization? Retail organizations have been traditionally aligned by function and have evolved channel by channel. It’s easy to understand how this evolution has spawned independently operating siloes (web, mobile, store) that severely limit commerce transparency and block a seamless unified commerce experience for shoppers. In order to support unified commerce, as well as eliminate competition between store and online channels, the organizational structure must align departments across all channels. In addition to this multi-channel merger, organizations must vigilantly focus on customer centricity. Category management (i.e., product types, contracts, product bundling, etc. that spans all channels) is an arrangement that supports customer centricity and is not typical of a function-based organization. This is “where the rubber meets the road”, with well-defined key processes that streamline operations (i.e., those that comprise supply chain management, pricing, inventory management, logistics, etc.). The right IT infrastructure that supports and enables these processes and the strategy is a critical piece of this area. Can gaps be filled with additional training of existing employees? What specific types of training are required to fill skill/knowledge gaps? Are additional employees required to handle new work? How will performance be assessed? As the organization plans a budget to fund the digital transformation initiative, it must also forecast this multi-year initiative’s potential impact on cash flow and profitability. The classic business case approach for digital transformation no longer works. Agile development environments that operate on an iterative basis require continuous adjustment and can therefore be disconcerting to chief financial officers. Nonetheless, this approach allows for strategic modifications that accommodate results as the initiative proceeds, so positioning for the ability to deliver early and often is a key component to success. The great majority of large-scale strategic initiative failures are due to insufficient attention to cultural transformation that must be driven from the top down and the inside out. That’s why our “Serious Seven” model depicts culture and communication enveloping the organization, uniting all areas around a shared set of values that facilitate and give purpose to digital transformation. Communication—top down, bottom up and across all internal and external stakeholders— begins with clearly explaining what the enterprise will gain from its investment in digital transformation (the what and why). Executives must share the vision and results as well as how the initiative will impact employees across the organization. Honest communication cannot be overemphasized, because managerial and employee buy-in is indispensible for motivating organizational excellence and success. What key messages about digital transformation should be conveyed to whom? How often will the CEO provide updates? What vehicles will be used to communicate with internal and external stakeholders? How will employee questions and concerns be addressed? How might the culture be impacted by digital transformation? How can the organization’s values be leveraged to facilitate digital transformation? Digital transformation and even more disruptive transformation is critical for achieving unified commerce. Yet there is no doubt that this journey requires significant advance planning to leverage the organization’s resources and keep them in sync, avoid turmoil and conflict, and ensure successful outcomes. Linda Palanza is chief operating 0fficer at OneView Commerce, as well as a member of the company’s Board of Directors. Her 30-year career in software and retail includes direct experience managing sales, marketing, development and professional services for organizations such as NSB, Triversity, Geac and ABT. OneView Commerce helps retailers drive digital transformation in the store by providing disruptive technologies that solve the business problems driving the unified commerce movement. Markus Hoischen is the founder and chief executive officer of BrainOrchestra, creator of the “Serious Seven” strategic framework for successful transformation. His 20-year career in management consulting, corporate development, logistics and retail includes developing corporate strategies, (disruptive) business models, and managing finance, transformations and IT. BrainOrchestra helps companies drive disruptive transformations and generate executive consensus. Will This Summer’s Organic Food Craze Continue through the Holidays?